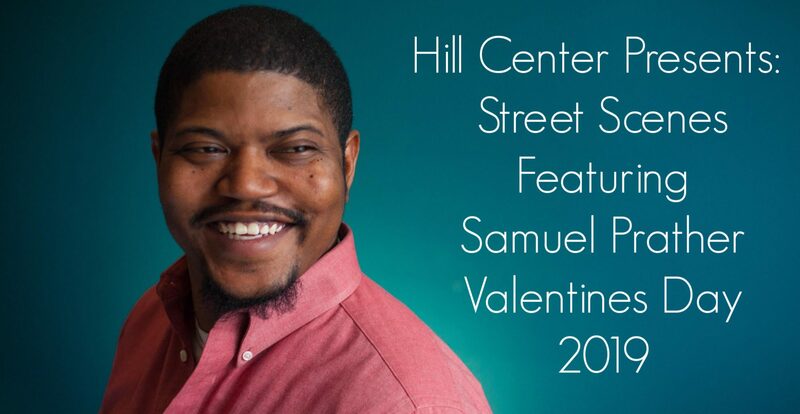 Washington, D.C. (January 22nd, 2019) — Street Scenes at the Hill Center presents DC’s own genre breaking vocalist and multi-instrumentalist Samuel Prather on Thursday, February 14th, from 7:00 – 9:00 pm. Tickets are $18 in advance, $20 on the day of the performance and can be purchased online or at the door. Purchase tickets on InstantSeats at https://www.instantseats.com/index.cfm?fuseaction=buy.event&eventID=A5FF6C01-BA4C-7C82-B23FD15C5C421D3F. 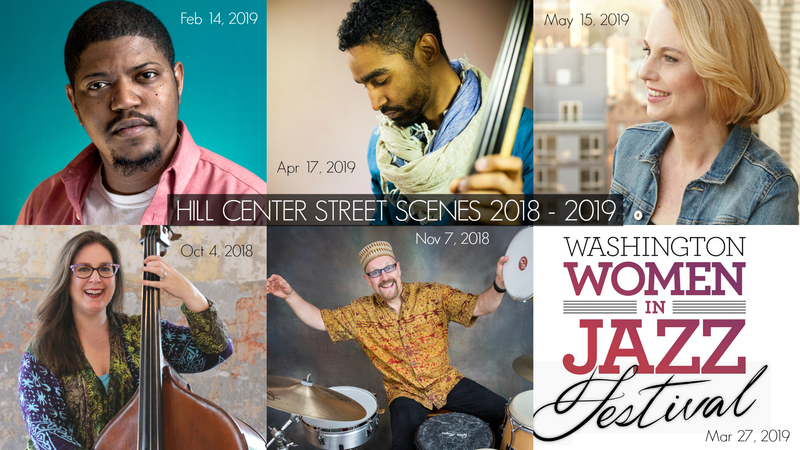 Samuel Prather, who normally performs with a large groove oriented ensemble, will be presenting a rare small, trio jazz combo feature performance as part of the Hill Center Street Scenes series. He has developed a reputation as an engaging performer, weaving story into his unique take on standards as well as his originals. He’s been compared to Stevie Wonder, Nat King Cole, and Donny Hathaway for his classic takes on jazz and soul music. As a versatile musician, he has shared the stage with acts as varied as Shania Twain, Raul Midon, Frederic Yonnet, Hugh Masekela, and Cyrus Chestnut. A product of UDC, UMBC, and Howard University, he won a student downbeat award in 2012. On top of being tied for DC’s Best Pianist of 2017 in Mike West’s Jazzies Awards, his album “Groove Orchestra” was named #2 Album of the Year by Capitalbop.com in 2014, and he currently leads his critically acclaimed large ensemble on its way to a brand new album release in March. For a complete schedule and artist bios for the Hill Center Street Scenes Concert Series, curated by Burnett Thompson and Shannon Gunn, please visit www.pianojazz.com/hillcenter.htm. Ensembles in residence at the Hill Center provide exquisite concert performances coupled with children’s programming in D.C. public schools. In its 7th season, the aim of the series is to bring the world’s rich musical universe to Capitol Hill and the wider Washington, D.C. community. 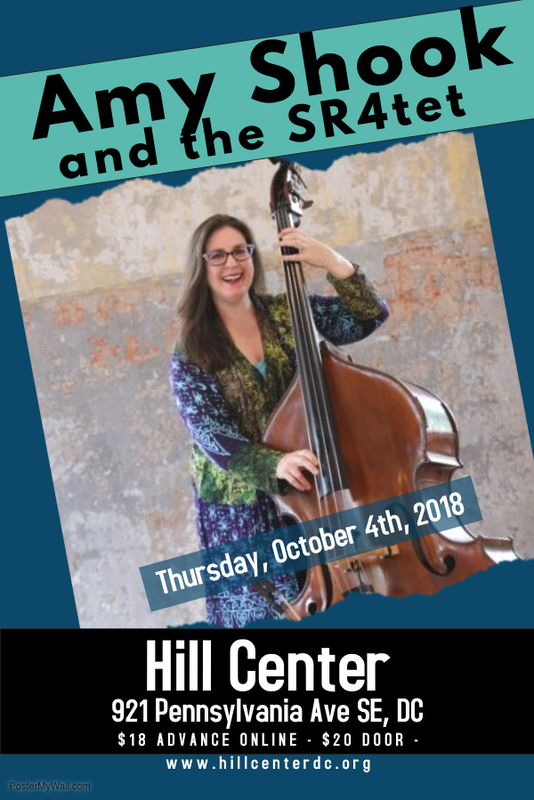 Washington, D.C. (September 9th, 2018) — Street Scenes at the Hill Center presents jazz bassist Amy Shook with the SR4tet on Thursday, October 4th, at 7:00 – 9:00 pm. Tickets are $18 in advance, $20 on the day of the performance and can be purchased online or at the door. Purchase tickets on InstantSeats at https://www.instantseats.com/index.cfm?fuseaction=buy.event&eventID=A56190A9-939F-F073-A96255EFC0D4D987. been to compose and perform their own original music within the jazz idiom, honoring the masters by carrying on the tradition. The group has developed an incredible and unique sound by merging the diverse backgrounds of each of these fine musicians into one voice. The result is a whirlwind of grooves, melodies, and diverse textures that are a true delight to hear. Collectively, the members of the Shook/Russo Quartet have performed extensively throughout the United States, as well as performed in Canada, Mexico, Asia, Europe, and the Caribbean, and at festivals such as the Lionel Hampton Jazz Festival, the Ottawa Jazz Festival, the Stan Getz Jazz Festival, the Cape May Jazz Festival and the Mid-Atlantic Jazz Festival to name a few. For more information, please visit www.amyshook.com. 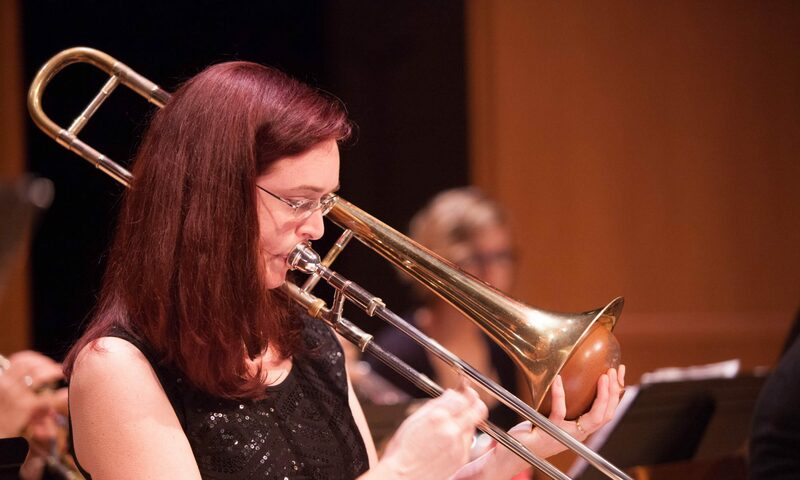 Photo cut-line: Amy Shook and the SR4tet to perform at Street Scenes at Hill Center on Thursday, October 4th at 7:00pm.